The 1st one is called Escape from Knowhere. It includes a mini space station and a space forklift like vehicle. 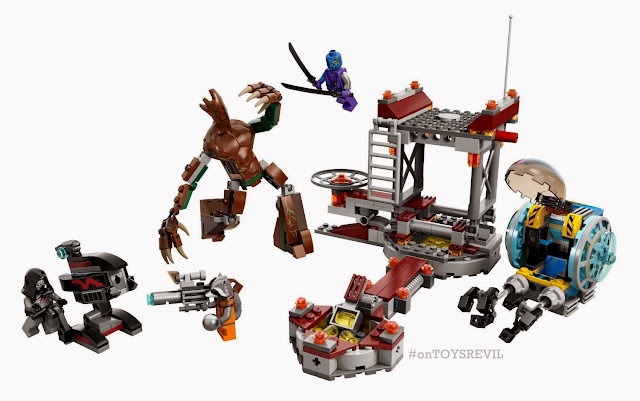 It includes the mini's for Rocket Raccoon, Nebula, a Sakaaran thug, and a giant Groot. The other is called Starblaster Show down. It comes with a Sakaaran Space Ship and one a Nova space ship. 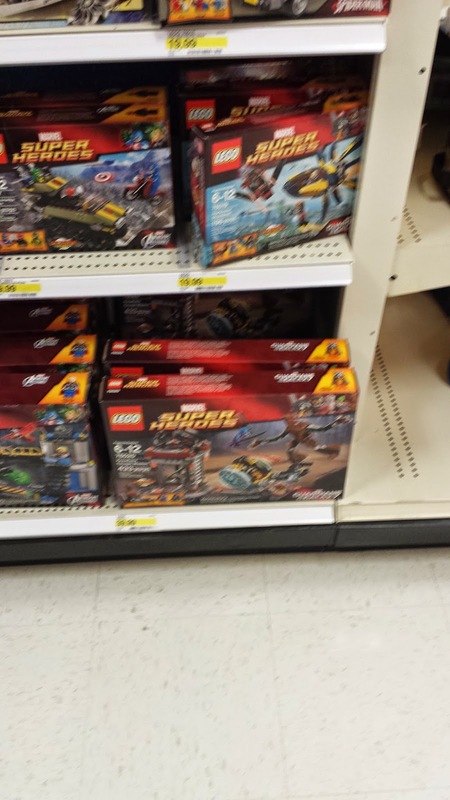 It includes the Lego minis Sakaaran thug, a Nova Corpsman, and Starlord. Cool things about it is that it is the cheapest set and will get you Starlord and two space ships. I think the Escape from Knowhere set looks the most cool so far. Priced at $40 dollars or 9 cents a brick beneath the golden 10 cents per brick level it is a good value. You get an interesting space platform as a set piece, I am not sure if it itself does that much. You get a Sakaaran with a missile launcher. You get a Rocket Raccoon who looks adorable and a little mini space tractor for him to fly around in and giant oversized gun for him to carry. You get a massive Groot that is built out of bricks and might be the center piece of the set. You also get a Nebula mini who looks amazing in both the movie and lego form. All of the Guardians Set will come with the Infinity gem Sphere that will be the central Macguffin in the movie. You can see Rocket Raccoon holding it below.